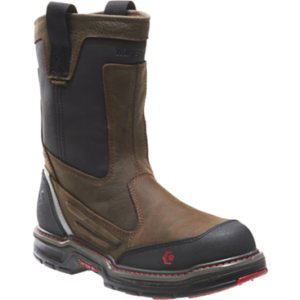 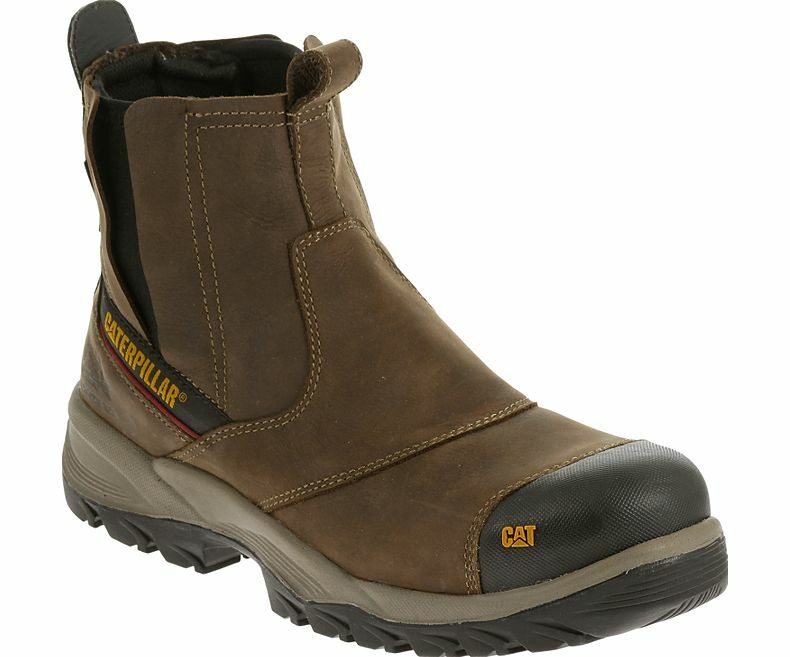 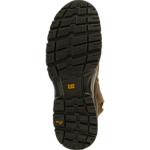 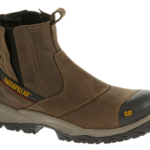 CATERPILLAR P90561 – Here’s where looks and longevity come together to form an industrious, leather work boot that offers safety as well as protection. 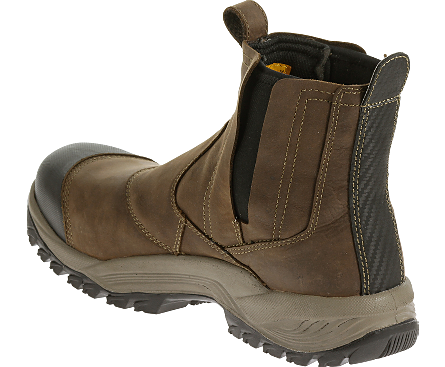 With a composite toe and electrical hazard protection, the Jointer meets the necessary requirements of a work boot. 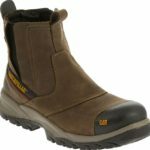 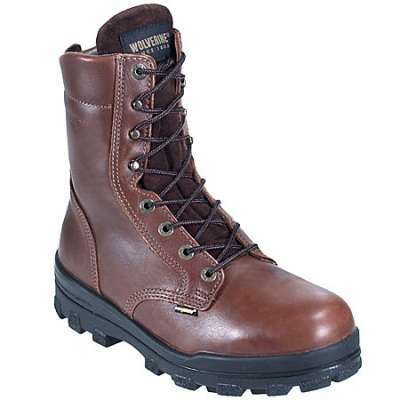 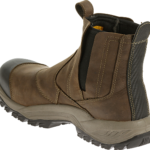 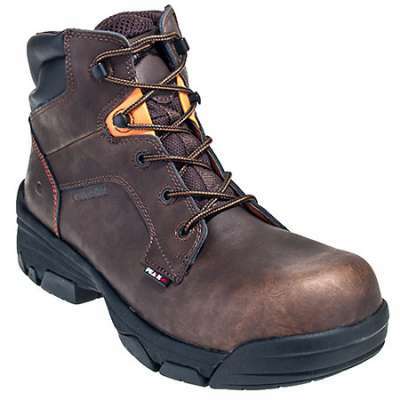 The Strobel construction is durable, while providing flexibility, and the waterproof construction keeps feet dry and protected. 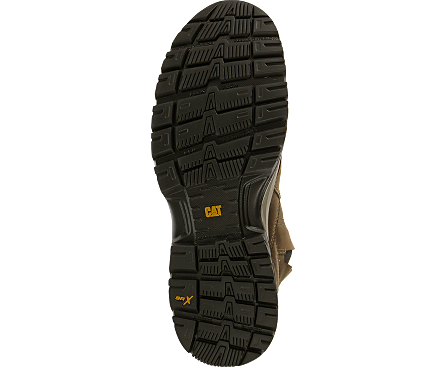 Everything designed underfoot is meant to provide additional shock absorption in order to keep feet/legs feeling fresh and stability to protect against slip hazards. 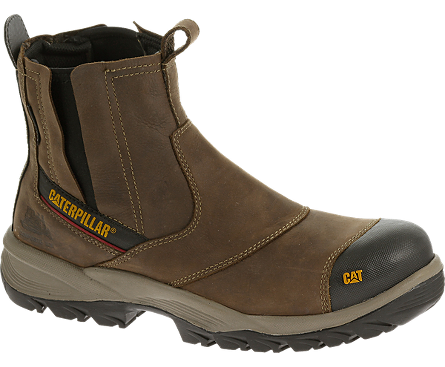 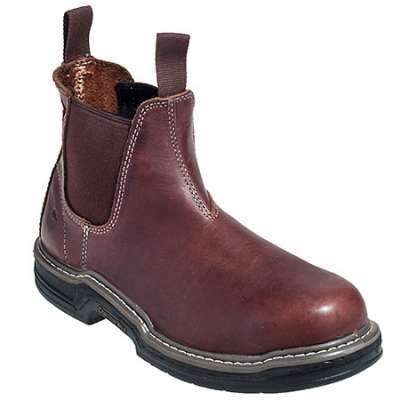 And, to top it all off, this Chelsea-style boot has convenient pull up tabs for easy on and off.